Recently in India all nutjobs from across the political spectrum are busy painting terrorists with religious brushes. The ultimate motivation for this action is unknown to me. But let's briefly discuss how evil the Hindus have become. I could not find any major involvement other than these. For an evil militant Hindu civilization, such poor record is disturbing. But anyway - let's examine them one by one. Check out the captions - you are looking at one of Indian media's judgements passed against an individual to increase sales. Note terms - Hindu terror and 'The Believer'. 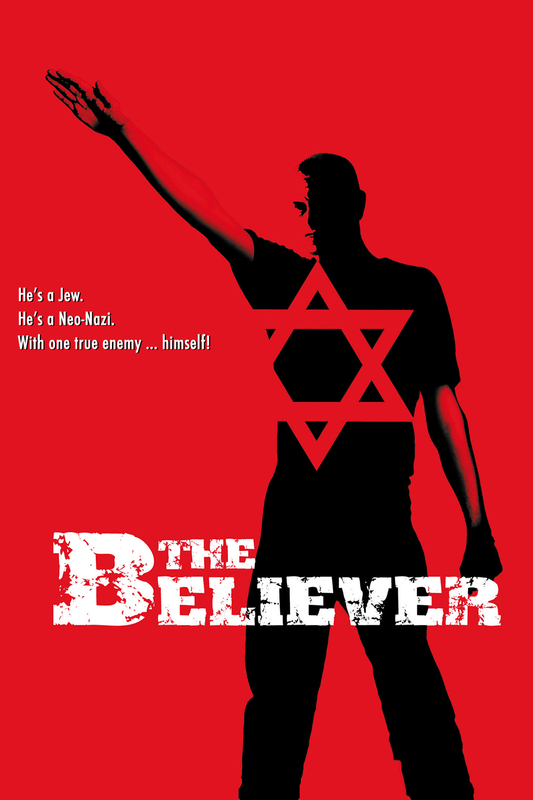 The movie is about a neo Nazi fanatic who likes to attack Jews. Check out the poster here. I did not find any similarity between Aseemanand and the neo Nazi. Perhaps you will have more luck. Indian Government Narrative - Indians and Pakistanis started making love to each other and began sending trains to each others' bedrooms. All of a sudden some sexually repressed Hindu fanatics of Abhinav Bharat bombed them. An Indian Intelligence officer called Lieutenant Colonel Purohit was also involved. The NIA was not disturbed. They went ahead and stated that they got a man who built the bombs. That should have effectively closed the case. But we still have an independent judiciary(thank God for that). A few days later the terror guru Aseemanand confessed that he did the blasts. But the courts played spoilsport again. A couple of months later, he blurted out, in his next public hearing that he was coerced and forced to make the confession. In fact the SBI leaked the 'confession' to the public in this perfect time. Now that is a serious case. The courts investigated it. The personal profile of Aseemanand also came out which apparently proved that he was an educator and never an agitator let alone instigator. The worst judgement for the Government came soon later. The Courts declared that the investigative agencies were seriously biased and did not do their duty and initiated proceeding against them! Then came the inevitable facepalm. From a Hindu angle, a Muslim angle began to be uncovered. The United States and the United Nations Security Council however had their own more serious investigations against any acts of violence. Both finally zeroed in on two organizations - Lashkar e Tayiba and Hizbul ul Mujaheedin. Both the Organizations were blacklisted. The UNSC even charged a travel ban on Arif Qasmani. Even today, after so many months of investigations both the US and the United Nations have stuck to Arif Qasmani as the culprit behind the attack and not some Hindu ascetic who has nothing. On 29th September, 3 bombs exploded and 8 people were killed. Initial Government Narrative - Sadhvi Pragya Singh Thakur was involved in murderous bombings and was an Indian version of a one woman Hindu terrorist! Later investigations - Here also the claims of the Government fell flat like a deflated tyre. First serious politicians even raisethecaravan liesd questions that Pragya was being chosen as an easy target and used for political gains. Future investigations flopped to such an extent that now even the prosecutor has agreed on the claims of the defendants. The Government agencies have even recommended the Courts to drop all charges against Pragya and let her free. If you have read the Samjhauta Express bombing part above, this might seem to be a repetition. A mosque called Mecca Masjid in Hyderabad was bombed on 18th May, 2007 leading to 14 deaths. 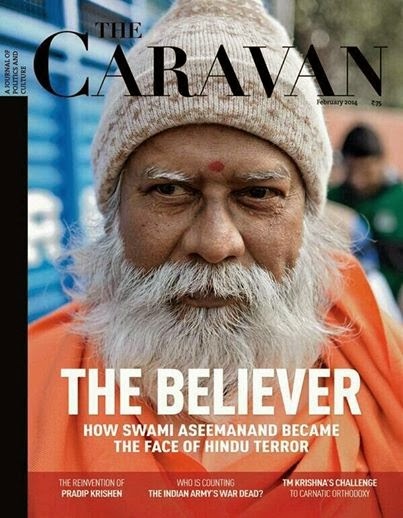 Future Investigations - Aseemanand, the Government's favorite hate monger and mass murderer, was also involved in this. Unfortunately after the Court found out that he was indeed forced to confess, the NIA and CBI case against him fell apart. Similarly in the Ajmer Sharif Dargah blasts it was found out that there may have been forced to confess things. A ray of hope flashed in the Government circles when their favorite terror Guru claimed that the RSS chief ordered him to bomb India. A new magazine called Caravan published the news. Unfortunately legal experts pronounced the statements lies and unverified. This was not a surprise as no journal or news agency has the right to pre-empt an investigation. Tehelka's Dirty Attack . After the untimely death of Tehelka, other magazines like the Caravan are trying to fill the void. Time will tell if they are going to succeed or not. I often wonder whatever happened to the favorite quote of the Intelligentsia - "Terrorism has no color/religion". Well, apparently it does - it's divided into "Secular" and "Hindu". Take this whole article as a sarcastic one. If you consider me to be a hate monger, please do so.